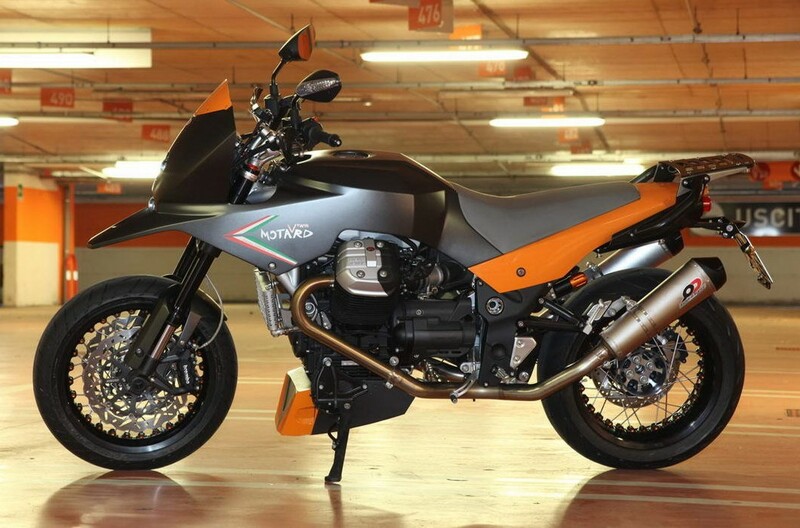 Moto Guzzi tuner Ghezzi-Brian unveiled a new motard based on the Moto Guzzi Griso. Available either as a whole motorcycle or as a ready-to-install kit for a Moto Guzzi Griso, the Ghezzi-Brian V-Twin Motard turns the Italian eagle brand’s roadster into a supermoto. The V-Twin Motard even fooled some of the motorcycle press into thinking it was a new Moto Guzzi Stelvio production model when a prototype was caught by spy photographers. Apart from the motard-makeover, Ghezzi-Brian equipped the V-Twin Motard with some fancy tech. 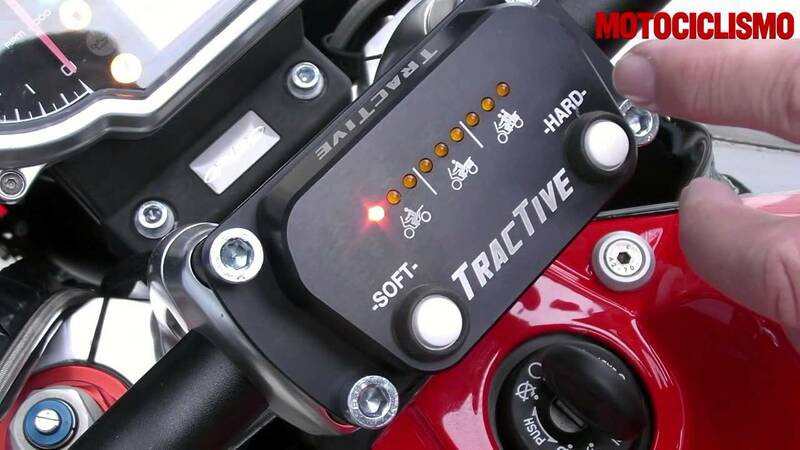 The V-Twin Motard uses Dynamic Damping Action technology which adjusts the rear suspension automatically to adapt to road conditions similar to the Dynamic Damping Control system being developed by BMW. The Dynamic Damping Action system was developed by Dutch firm Tractive Suspension, which includes staff who worked on BMW’s ESA and ESA II electronic suspension systems. Like in BMW’s system, the Dynamic Damping Action uses special valves that electronically adjust the flow of the hydraulics in real-time. According to Ghezzi-Brian, the system regulates up to 10,000 Newtons (2,248 pounds-force) of damping in just 10 milliseconds. The system uses sensors that measure the dynamic state of the suspension 25,000 times per second. The front suspension is comprised of a relatively pedestrian fully-adjustable 43mm upside-down fork. The front end uses double-disc brake with radially-mounted 320mm four-piston calipers while a 282 mm two-piston caliper grips the rear wheel. Speaking of wheels, the V-Twin Motard is equipped with Kineo tubeless spoked wheels with CNC-machined forged aluminum hubs. The V-Twin Motard’s longitudinally-mounted engine is a 1151cc air- and oil-cooled 90-degree V-Twin, claiming 113 hp at 8500 rpm and 82 ft-lb. at 6000 rpm (compared to the base Moto Guzzi Griso’s 110 hp at 7500 and 80 ft-lb. at 6400 rpm). Power is delivered through a six-speed transmission. The Ghezzi-Brian V-Twin Motard also has a 4.49-gallon fuel tank and weighs in at 485 pounds (though it’s unclear if that is a dry or wet weight). Styling-wise, the V-Twin Motard’s most notable features are the stacked headlights and “beak” front fender. 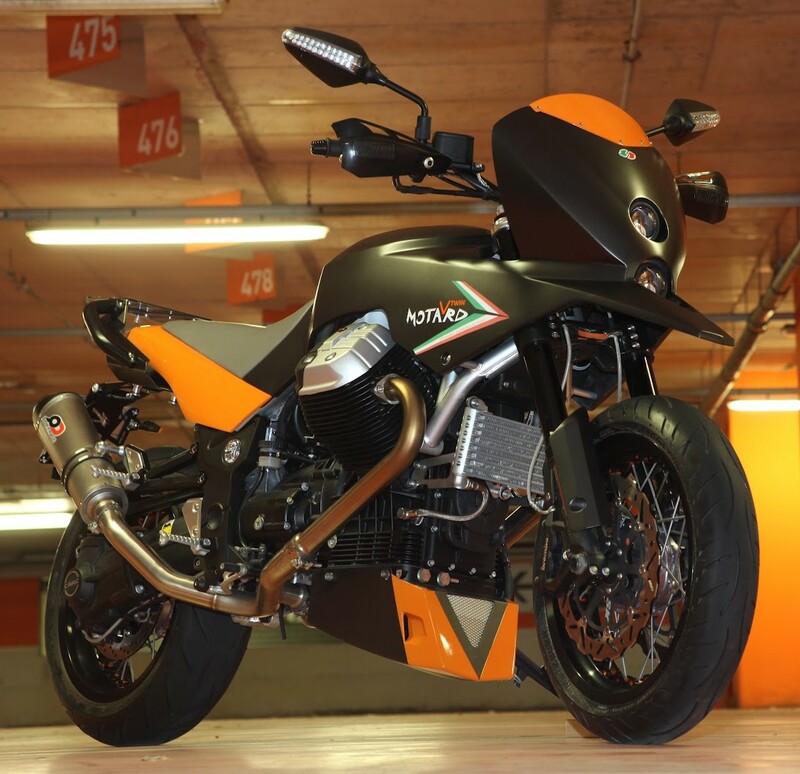 Ghezzi-Brian is offering the Motard in gloss or matte black with orange, or gloss or matte black with gray, though other colors may be available on request.